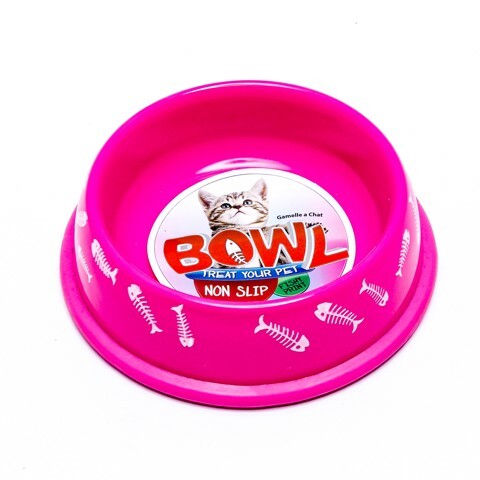 Cat Bowl Melamine Non-Slip 4Asst. 16 x 4.5cm l Volume 300mL. Pink W/White | Blue W/White l Black W/White l White W/Black. All Have Fish Bone Print. 30% Melamine | 70% Urea. 110G Packaging: Bulk Pack.